Please note Rasamaya occurred in past. 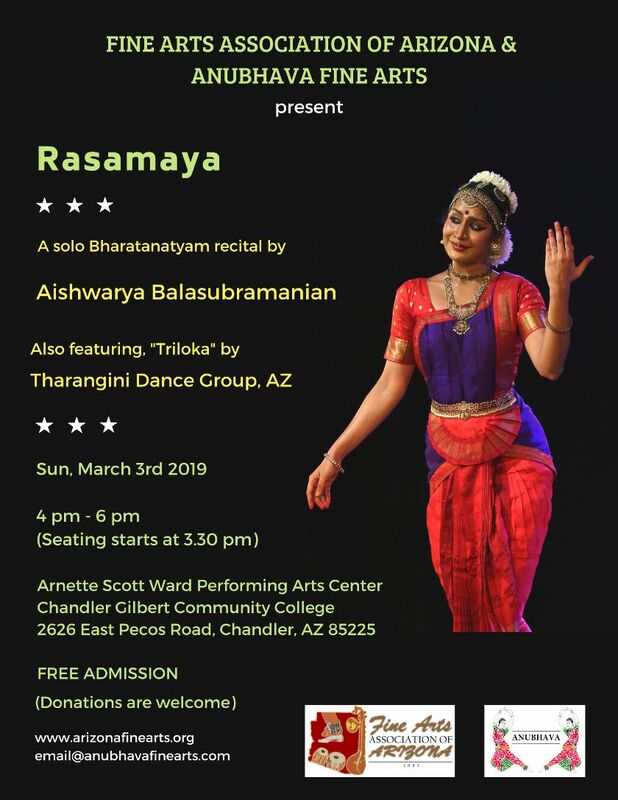 Rasamaya - come and get enthralled by Aishwarya Balasubramanian and Tharangini on March 3rd 2019 at CGCC! 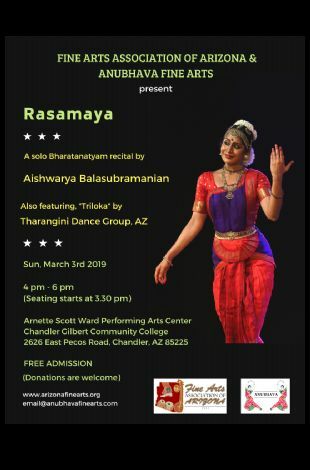 Fine Arts Association of Arizona and Anubhava Fine Arts is delighted to announce Aishwarya's solo recital. As an added bonus, Tharangini dance group will present a cameo thematic recital on the day of....!